The Nurit 8320 is ideal for small to medium sized businesses that need something simple yet superior. 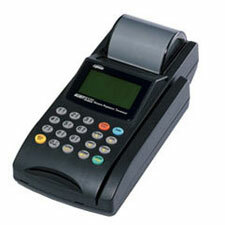 This dependable POS terminal is a fully functional countertop device that is secure, reliable and efficient. It helps businesses achieve an enhanced revenue with its excellent performance capabilities and easy management features. This credit card terminal is cost effective, as it processes more value added applications due to its fast and powerful operating system. This multi-platform device accepts all types of payments, including NFC/contactless. With a generous memory, backlit display screen and a high-speed printer, the Nurit 8320 can offer seamless transactions and better customer interactions. Merchants will be able to enjoy flexibility and convenience with this user-friendly device. The display, logo, fonts and other keypad functionalities can all be customized to fit the business’ needs. Customers can experience a more personalized shopping experience that will leave them feeling satisfied. The Nurit 8320 has an internal high-speed modem and a powerful microprocessor. At Firemane, we sell new and used Nurit 832 POS terminals. We are the trusted POS terminal suppliers, offering great deals and a 12-month warranty for all new and refurbished products. If you have any queries, please contact us.